Our Causes | Bullets Both Ways | Stand Up. Represent. Prepare. Protect. 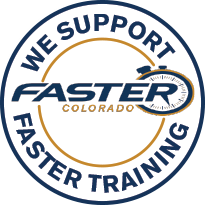 Click on the FASTER logo above to learn more and Sponsor a Teacher to attend! As the Willing & Able Stand up and Represent, we will continue to find new and exciting ways to work with other respected organizations that are committed to helping spread the power of Pride, Patriotism, Preparedness, and Protection. We are always proud to formulate new partnerships. Check back to learn about our latest affiliations.